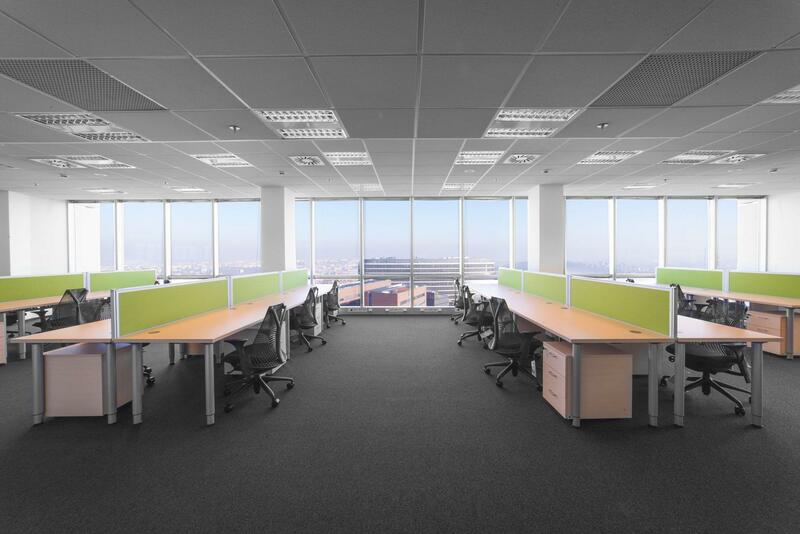 We realized a large order including furniture delivery creating 100 workspaces for the software company Infor. 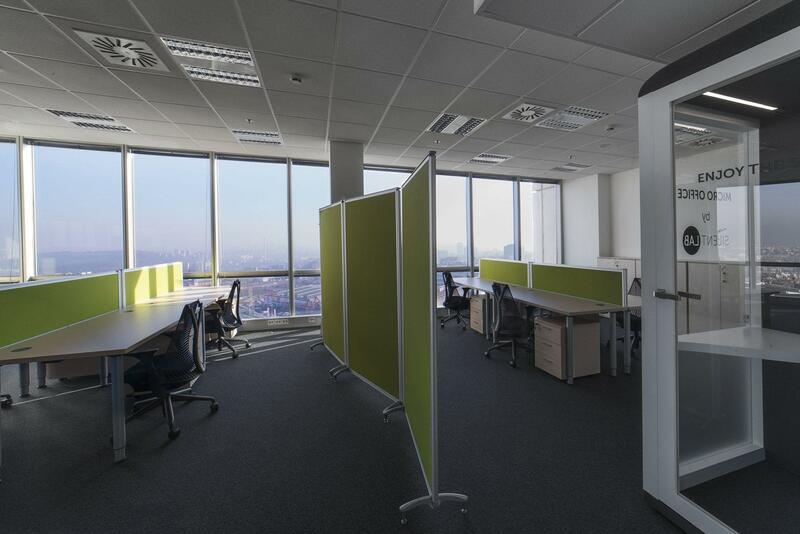 The client´s request was to design the office space in a way that would be pleasing for the employees when they would take their eyes away from the monitors that they are looking at all day long. An additional element of the request was to select colors in natural tones so that the whole space should feel green and be complemented with living plants. The furniture sets are arranged in a U shape. The entire area is solved as an open space, which is divided by a dominant feature – potted plants and freestanding screens. 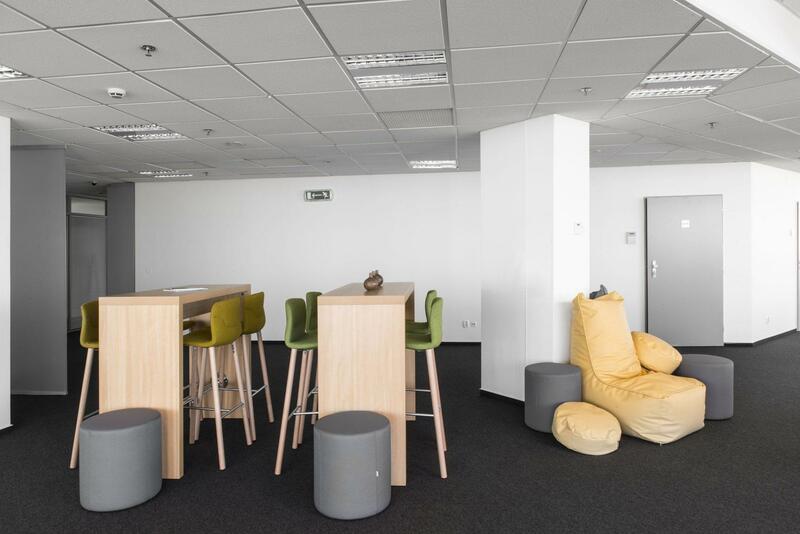 A reception, as well as, relaxation corners complement the office spaces. 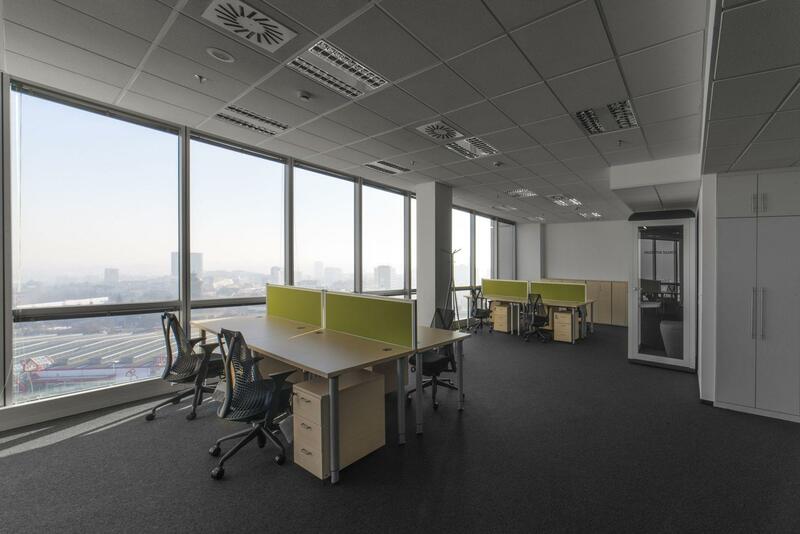 The desks are from the Spanish office furniture producer ACTIU – specifically the COOL C300 no frame line with birch decor. 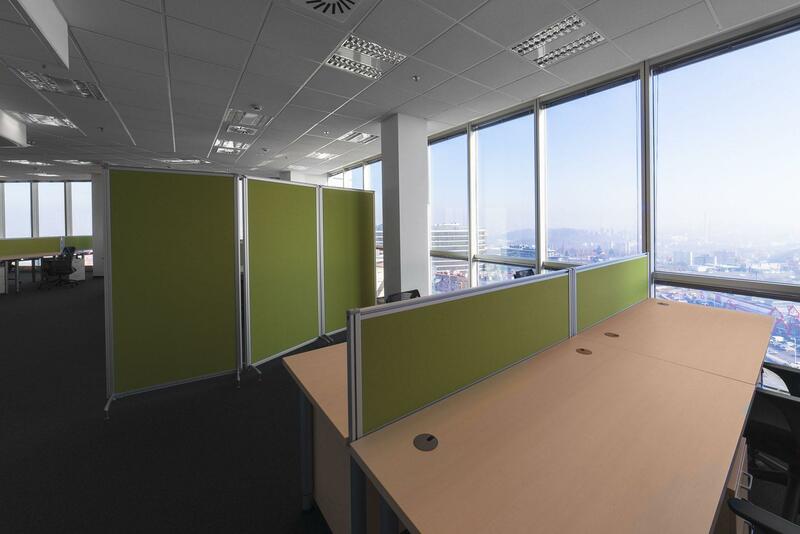 The individual work spaces are separated by ACTIU acoustic screens that have a significant soundproofing effect on the entire space. In the reception area, there is relaxation soft seating from the LONGO series. To promote relaxation and make breaks more pleasant, there is a foosball table and sitting bags – both from a Czech producer. 1. After receiving the initial introduction of the client´s ideas and requirements, a beautiful interior space project layout was drafted. Very nice and professional! 2. Respecting the client´s actual needs and the optimal use of the space – very fast preparation of the final proposal and price offer. 3. After the client´s agreement with the offer, fast ordering and setting of delivery term for the standard items within four weeks. 4. Problem-free delivery in the agreed time period including montage and installation with cleanup. CAPEXUS is able to provide to a client complex services which are very fast and on a professional level in furnishing interiors with quality furniture in a pleasing design at a fair price. I recommend CAPEXUS to everybody! Václav Škoula, Manager Facilities Office. A bar counter with chairs provided by Gaber complement the openspace interior. CITY EMPIRIA is currently the third tallest building in the Czech Republic. It is situated in the dynamically developing administrative and retail centre Prague 4 Pankrác, on the street Na Strži. Thanks to its height of 104 metres it offers panoramic views of Prague city centre. 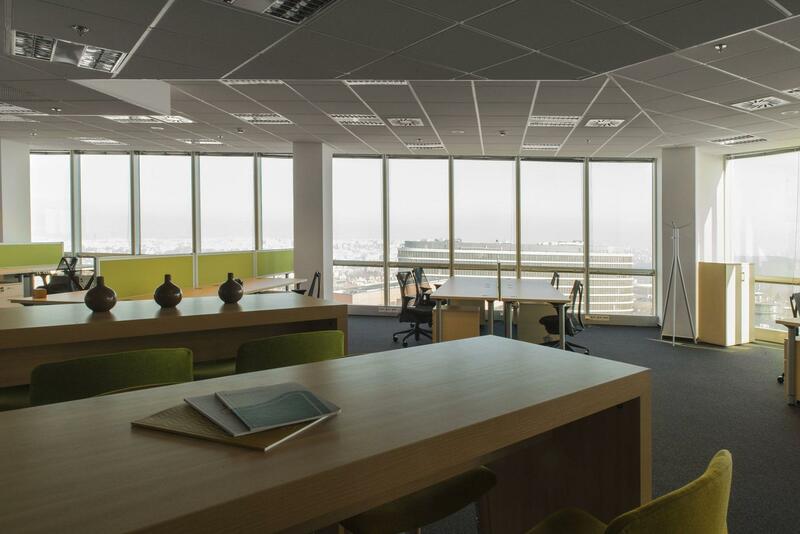 This office building offers 27 storeys above ground level with an area of 22,500 m2, retail space, a modern conference centre and own dining facility.